Check Out Our New Office Space! 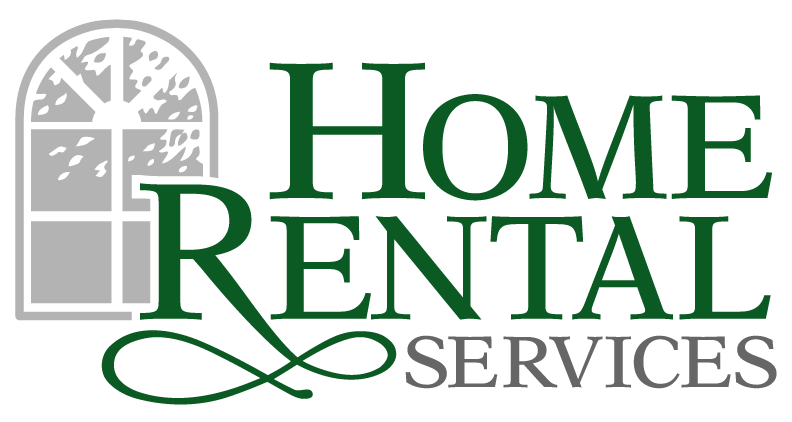 [PICS] « Home Rental Services, Inc.
We’ve had our office located at College and Metcalf for 9 years, and our team has definitely grown during that time. Until recently, we were bursting at the seams. We had offices crowded with desks and filing cabinets. We just didn’t have enough space! Thankfully, that has recently changed. 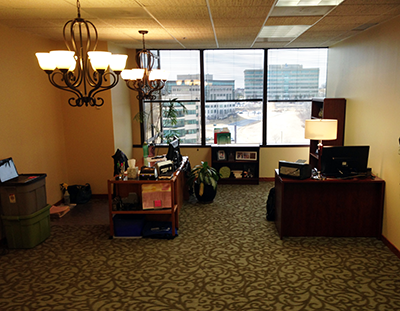 We had an option to lease additional space in the office next to ours, and that space freed up a few months ago. We decided to lease an additional 500 square feet and started the process of getting it built out. We appreciated working with our property manager (Block) and the general contractor assigned to us. They met with us every week to make sure we were on track with our goal of taking over the new space by early March, 2014. It is amazing how tricky adding new space can be! Walls had to be built. Carpet selected and installed. Electrical outlets installed. Painting. Desks torn down, moved, and set up. Computer data lines run to wall jacks (and coordinating with Umbrella, our IT support provider). And more! The order matters too, so any delay by a vendor could have had big consequences. We were especially pleased with our long term friends and partners at DesignSource. We decided to install new carpet in our entire space, and appreciate their guidance and professional installation of the two styles of carpet we went with. See the picture below that has both styles of carpet that are now in our office. Spring is here… test your Sump Pump! Who is the next person you know that may be moving? Contact us with their information and we will take great care of your friends!